A few weeks ago I attended a S4 workshop entitled “ABS2 Agent Based Spatial Simulation” organised by the SIMBAD (SIMulation Based on Agents to Aid Decision ) working group. The meeting was very interesting bringing agent-based modellers from a range of European countries to discuss recent work. The full program and presentations can be found here. 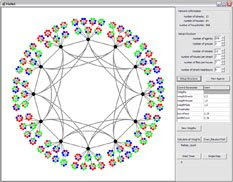 Modellers used a variety of software toolkits ranging from NetLogo, JADE, MATSims, AnyLogic and bespoke programs to explore a variety spatial simulations ranging from traffic simulations to land use change. For example, road charging in Moscow (using AnyLogic), using MATSim to model travel and locational choices in Lyon, urban daily mobilities using MADKIT, how agents impact on traffic speed (using NetLogo), slowing down urban networks (e.g. to many cars leads to congestion), exploring how traffic lights affect the speed of movement and the distance between cars at different speeds). Demand responsive transport services of shared taxis over non fixed networks (e.g. the Modulobus project). Moving away from traffic simulations, others explored the use of agent-based models to examine risks from toxic clouds, urban growth and forest fires (using JADE and GRASS), plague epidemics (NetLogo), landscape evolution due to a shifting cultivation system driven by social dynamics, the interrelationships between the built structure of a city and its social organization (Circle City is available here). 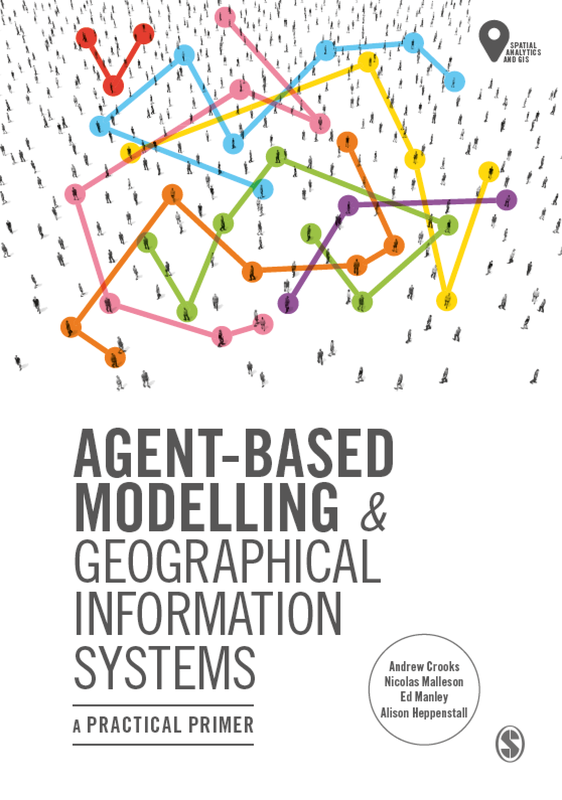 Talks also included the need to make agent-based modelling easier. For example, Philippe Mathieu discussed the need to be able to move agents behaviours between different models without the need to copy chunks of code. To this extent he showed us the IODA project. IODA basically allows one to create an interaction matrix of agent-behaviours (an ontology of agent interactions). 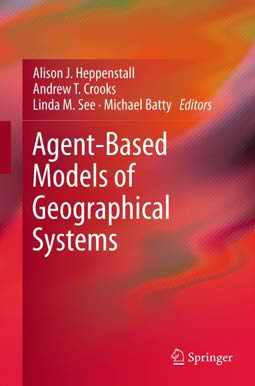 Volker Grimm discussed individual-based models, and emphasised that representing agents is only one part of the modelling process. The other is the interaction between the agents. It was also noted that there is a need for better model descriptions with the ODD Protocol potentially being the solution.